Jonathon Anderson holds a degree from the University of Houston (2001) and has held his position as Director of Bands at Southmore Intermediate, a seventh and eighth grade campus located in Pasadena, TX, for over ten years. Since Anderson took over, the band program has grown from making second or third division ratings to earning a “Superior” rating at Texas’ University Interscholastic League (UIL) contests. He attributes this substantial growth to the relentless efforts of both his staff and students. “It's still a work in progress, like all programs, but things do seem to be on their way up.” Last year, Anderson led his Varsity Band to their first sweepstakes in forty years. Vanessa Sanchez, the Assistant Band Director at Southmore Intermediate, holds a degree in Music Education from Stephen F. Austin State University and is originally from Austin, TX. 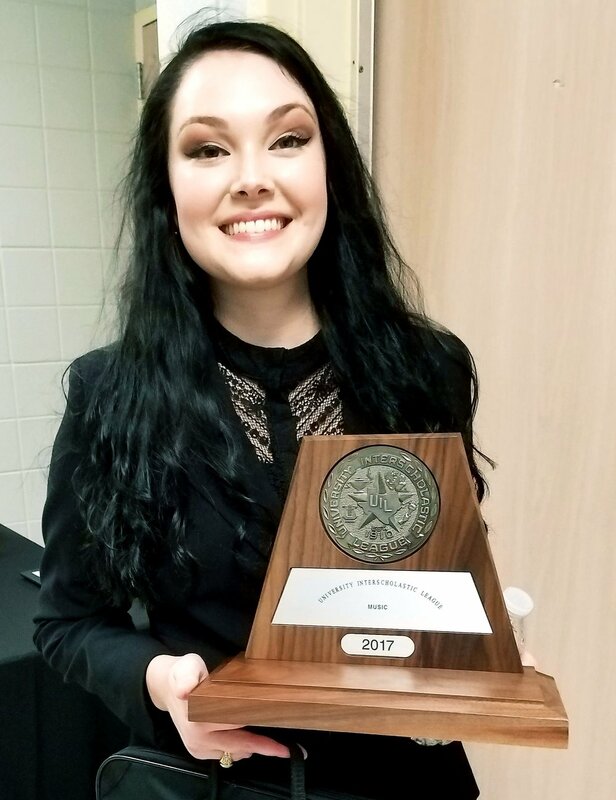 In this, her first year of teaching, she led the Non-Varsity Concert Band to their first ever sweepstakes and was awarded the Southmore Intermediate’s “New Teacher of the Year Award.” She attributes her success to both Mr. Anderson’s leadership and her strong musical background. Be honest. Praise is important, but if everything is "great" or "wonderful" you lose credibility. Communicate your goals and be consistent. Don't make the kids play a guessing game when it comes to behavior, expectations, or procedures. Take the time to clarify the musical goals of the current rehearsal and of the season. Be patient. Especially if you are walking into a program that needs a significant amount of help, expect to face resistance from students. Remember that making lasting change takes time. Be relentless. The best students will plateau without new challenges; don't accept "good enough." It can be exhausting at times, but through everything, strive for better teaching/playing with every new day. Celebrate Success. Make a big deal out of milestones; first kids to make All-City and/or All-Region, first I's at UIL, first Sweepstakes at UIL, etc. as well as new records. Whether it's four or forty, if kids know it's the most kids ever to make the Region band from that school, they have a sense of accomplishment and are more likely to feel that the effort they expend is worthwhile. Establish a culture of steady improvement. Steady improvement is more important than achievement; focusing on achievement sends the message that there is an endpoint to the process of learning and working. Don't expect teaching to be glamorous. The majority of rehearsal time will be spent giving feedback for incremental improvement to make the ensemble sound just slightly less rough, especially in a beginner program or even an established program's lower bands. When doing it well there are many times that band directing is just plain hard work, but slogging through those days lays the foundation for success. Know the sound you want. Listen to bands, orchestras, and soloists. Remind every kid every day to focus on developing a quality sound. Keep refining your craft. No matter how well you understand what you're trying to teach, there will always be a more efficient explanation or a smoother way to connect concepts. Surround yourself with smart people. Ask for help. Contact more experienced educators with questions about specific issues and for feedback on your ensembles. Take time to reflect. Which methods are working, and which aren't? Keep track of incremental improvements, whether that means more kids in the Region Band or just that kids are ranking higher at these events than in previous years.